Foraging for wild food is a brilliant way to get outside and interacting with our natural environment, and over the next few weeks nature’s larder will explode in an abundance of new growth as our wild plants establish themselves for another year. If you look closely while out for a walk you’ll find plenty of wild edibles already growing well in sheltered spots. 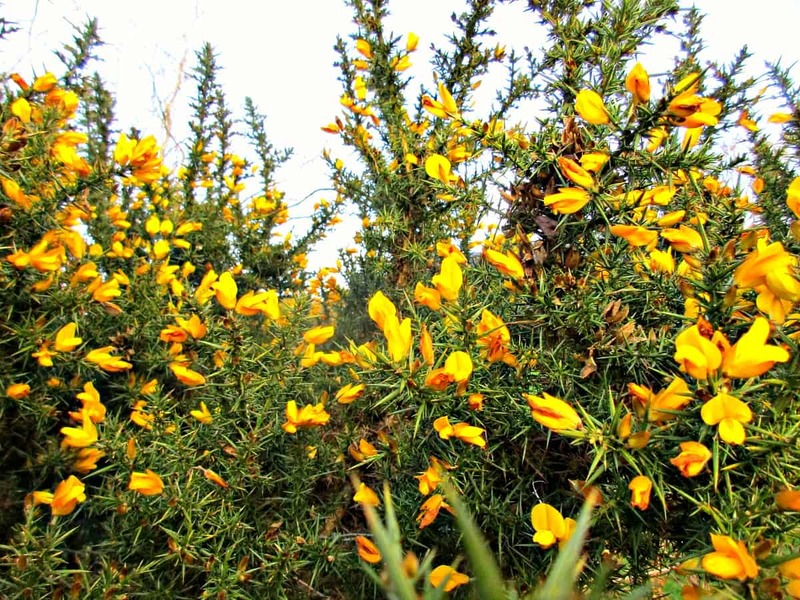 This week we have found Sorrel, Cleavers (sticky weed) and Nettles in our hedgerows, all edible and highly nutritious wild leaves, as well as the beautiful Gorse flowers shown below which was considered to be the herb of love by our Anglo-Saxon ancestors. It is also essential that you only eat wild plants that you can 100% positively identify, and that you have foraged from land which is free from contaminants – in other words away from areas which are popular with dog walkers, or where pesticides may have been used. There’s a whole host of recipes that use the dandelion flower; teas, wines, salads and savouries. The plant is recognised as being one of our most nutritious weeds; containing anti-oxidant vitamins, minerals, calcium, and protein, and would have been a food staple for our ancestors here in Europe. 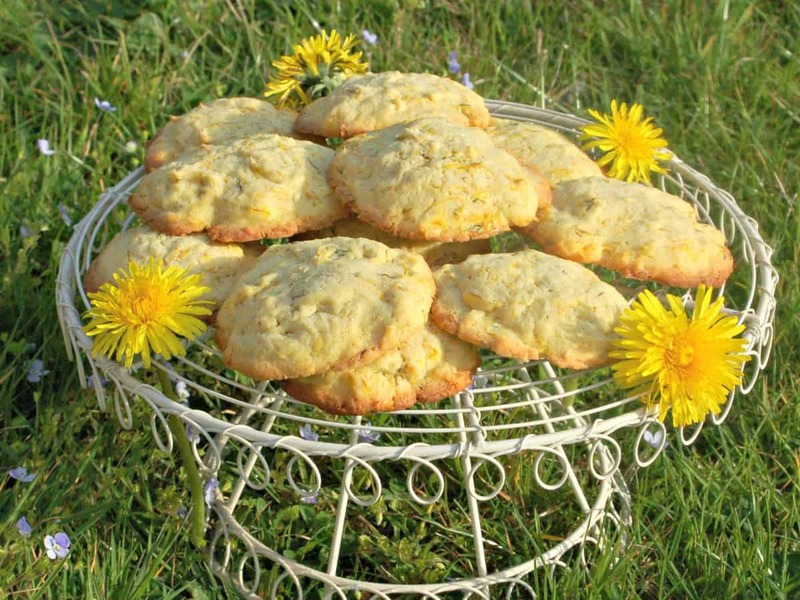 Why not try our beautifully simple Dandelion and Lemon biscuits for a sunny introduction to this wonderful weed! Google the health benefits of stinging nettles, and you will find the most incredible list of diseases and complaints that this plant has been attributed to helping with, everything from hay-fever and arthritis, to supporting menopause and detoxifying the body. Of course many of the claims are anecdotal, but there is also some robust research out there that backs up some of the suggested benefits. Nettles are found across much of the world, and archaeological evidence here in the UK has shown the we have used the plant since prehistoric times, with ‘Nettle Pudding’ laying claim to being Britain’s oldest recipe. Nettles are certainly nutritionally dense, containing a wide range of vitamins and minerals, as well as good amounts of protein and fibre. Click here for instructions on how to make this delicious and simple cordial. This recipe is one of my own concoctions and the idea came to me while pondering on what I could do with the nettle residue you are left with, when making the Stinging Nettle Cordial featured above. 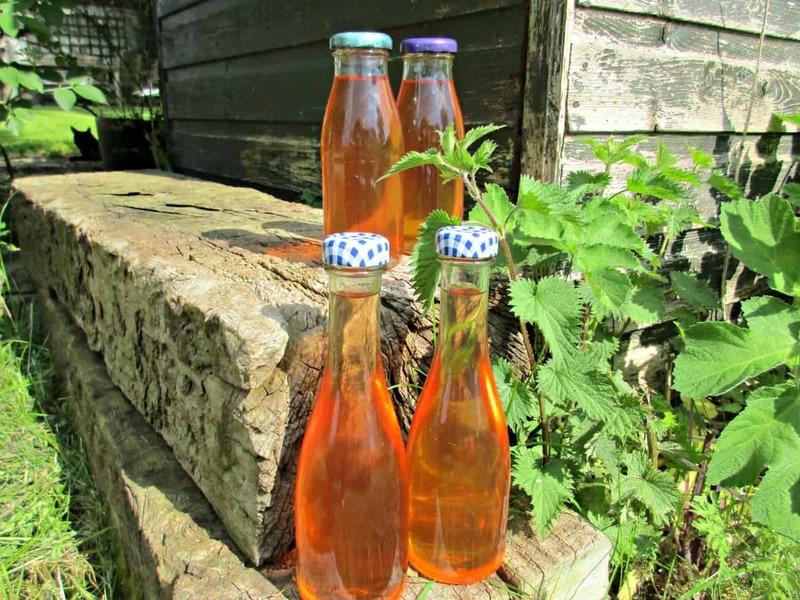 If you dont want to make the cordial first, this recipe works just as well with freshly picked nettles, or you could substitute an edible wild plant of your own choice. 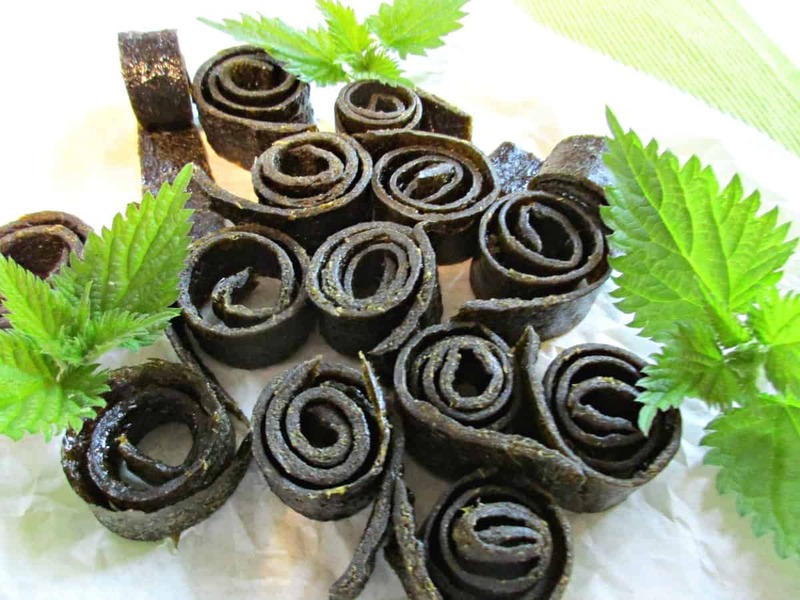 Nettles are hugely nutritious, with all sorts of health benefits, so I am delighted to have come up with this recipe for Stinging Nettle, Apple and Pear Fruit Leather, which the kids are so keen to eat. 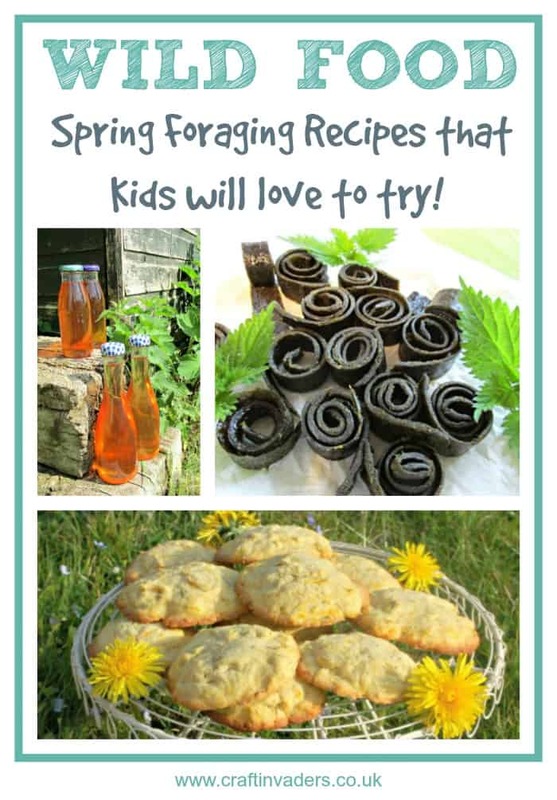 I would love to know what you think of our early spring foraging recipes, and whether you are tempted to try any of them with your kids, so please do leave a comment below. This is fantastic, I’m so glad I found it via the #vlogit Linky! I’m definitely gonna be having a go at the pies and leather straps, thank u for a great read. Loved this article, will get trying on these with my two kids. Can you recommend any events for foraging with kids? Thanks! Love these Sarah, we are so lucky to stay in a country where foraging is a way of life for most people. your recipe for fruit leather has always been a favorite of mine and now there’s two more to try. We have dandelions, but no stinging nettle. Mmmmmmmm I wonder if there’s something else we could use instead. I’d love to spend time with people who have kept their foraging knowledge intact within their community, it amazes me how much we have lost here. We are going to a 5 day bushcraft festival this summer and I cant wait to immerse myself in to all that precious knowledge! We love the same things Gina and I’m sure you’ll find somewhere soon – then there’ll be no stopping you!